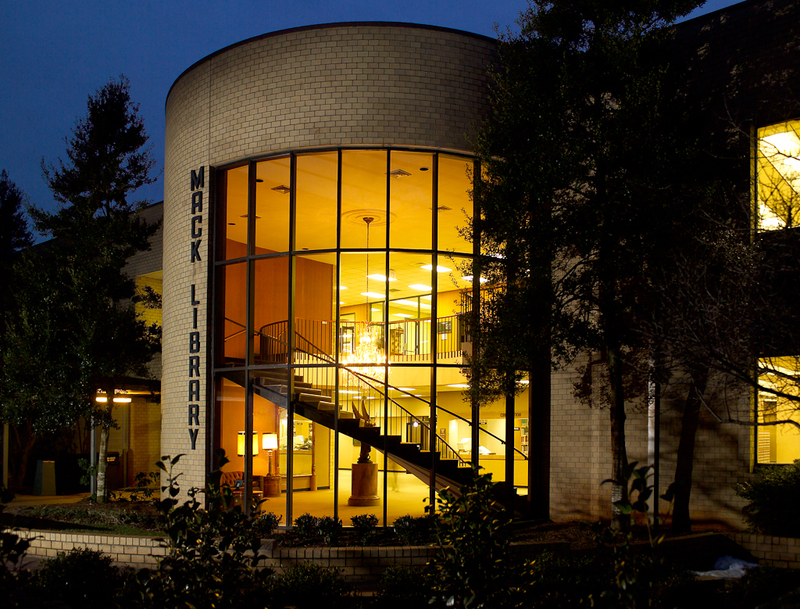 An overview of the resources and services available at the Mack Library Fundamentalism File. The Garman papers consist of materials dealing with many subjects that W. O. H. Garman collected throughout his ministry. The collection is divided into five categories: Religious Topics, Nonreligious Topics, Biographical Topics, Personal Papers, and Sermons. The Religious Topics make up almost half of the collection. The contents of this section are mostly newspaper/periodical clippings and personal correspondence. The topics are broad, ranging from denominations to religious movements, from moral issues to Communism, and from religious liberty to Santa Claus. Two topics of importance are the files on the American Council of Christian Churches and the Associated Gospel Churches. Garman was closely associated with both groups, making his collection on these subjects an invaluable primary source on their history. Most of the contents of the files on the ACCC and the AGC are personal correspondence. Especially valuable are the letters from Garman to Carl McIntire concerning the controversy that took place between the two groups, resulting in the subsequent expulsion of the AGC from the ACCC. The Nonreligious Topics are the smallest division of the collection. The contents of this section are predominantly newspaper clippings and booklets (e.g., a police manual). The topics in this section deal mainly with federal departments, such as the Air Force, Black Guard, and Civil Air Patrol. There are other diverse topics of a political nature, such as capitalism, the election between Johnson and Goldwater, narcotics, the United Nations, and the Navajos. The third division of the collection is the Biographical. The topics in this section are predominantly religious leaders ranging from Billy Graham to Jay Adams and from Harold Ockenga to Harry Ironside. The materials on Graham are particularly extensive. Much of this section consists of printed secondary materials, usually periodical articles. However, there is also some valuable correspondence between Garman and many prominent Fundamentalist leaders of the twentieth century. Fourth are the Personal Papers of Garman. Garman’s publications on topics such as the Bible, politics, and the Federal and National Council of Churches are a particularly valuable aspect of this section, along with numerous other original works by Garman. This section also provides the researcher with information about the tours that Garman took around the world, often in association with his chaplaincy work for the AGC. Garman’s Sermons complete the collection. His sermon notes are handwritten and provide insight into Garman’s character as well as his manner of study. The content of the sermons consist of the doctrines that make up the fundamentals of the faith, as well as sermons on individual books of the Bible. One of the largest series in the file deals with the topic of the life and ministry of Christ. The Garman Papers are an important resource in pursuing original research on Garman himself, on Fundamentalist involvement in the military chaplaincy, and especially on the AGC and (to a lesser extent) the ACCC. The papers are divided into folders according to subject and arranged alphabetically. The Stenholm papers contain the personal collection of Gilbert Stenholm, consisting of a variety of topics. Included throughout the collection are many newspaper and magazine articles, advertisements, promotional materials, and correspondence addressed to Stenholm or his wife. The collection shows his reliance on Frontline, Sword of the Lord, and Blu-print as the main periodicals he used dealing with religious issues. Congressional reports as well as religious observations by men such as John Ashbrook comprise the bulk of the folders relating to Communism. Stenholm kept both large and small records concerning ethical, religious, and political issues; denominations; particular churches he visited; Christian colleges; and matters of doctrine or theology. Among the largest files are Stenholm’s collections concerning the Communist agenda, which includes such folders as brainwashing, relations to China, Cuba, Christianity and the Catholic Church, and religion in Communist countries. Also taking up a large percentage of the collection are Stenholm’s Bob Jones University files. Among the BJU files are materials concerning the school’s accreditation battle, the Alumni Association during Stenholm’s tenure as president, faculty and staff information, and the school periodicals Voice of the Alumni and Little Moby’s Post. Among the denominations and religious organizations taking up more than one folder in the collection are the Catholic Church, the Conservative Baptist Association, the National Council of Churches, the World Council of Churches, and the Southern Baptist Convention. Throughout his years traveling as an evangelist for BJU, Stenholm gathered a collection of materials from several religious schools, including Cedarville College, Berkeley Baptist Divinity School, Dallas Theological Seminary, and Furman University. He also kept tabs on his former schools of North Park Theological Seminary and Northwestern University. In all, twenty-five colleges, universities or seminaries are on file. Stenholm’s biography file consists of material on some seventy-five individuals, ranging from Anita Bryant to Bill Gothard to Ian Paisley. Taking up the bulk of the biography files are the files concerning Billy Graham. The Stenholm papers contain thirty-six files regarding Graham, among which are materials regarding Graham’s relations to BJU; twenty-four different files concerning his crusades; several about his political involvement with Presidents Kennedy, Eisenhower, Nixon, and Johnson; and various interviews and statements. Exclusive to the Stenholm papers are his personal files concerning individuals, his multi-faceted career at Bob Jones University, correspondence to relatives and friends in the ministry, and letters of appreciation from churches on his evangelistic circuit. Of particular interest in the personal files are some of Stenholm’s early college papers and lesson plans, demonstrating the early years of Bob Jones University class life. The papers are divided in religious, non-religious, and biographical files, arranged alphabetically according to subject. A Guide to the Papers of Guy Archer Weniger by Mark L. Ward, Jr. The Weniger papers consist mainly of the personal files collected over many years by Guy Archer Weniger (1915-1982). Included are many newspaper and magazine clippings filed under topic headings of religious interest (see the list that follows), with many pieces marked by Weniger to point out which portions were especially noteworthy for his purposes. The papers also contain much of Weniger's correspondence (with many leading Fundamentalists such as Carl McIntire, Bob Jones, etc.) and hundreds of documents he gathered for sermon illustrations. Periodical articles, which compose about 75% of the topic folders, were clipped from Christianity Today, Christian Century, Christian Beacon, Sword of the Lord, Eternity, certain California newspapers, and many other religious and secular publications. Many advertisements, school bulletins, transcripts, brochures, flyers, and other pertinent miscellanies fill out the rest of the collection. Weniger gathered information on religious, political, and ethical issues, on denominations and other religious organizations, and on over three hundred people, again primarily religious figures. Organizations about which Weniger filed the most material are either those with which he was closely associated (Bob Jones University, the Fundamental Baptist Fellowship, the Conservative Baptists) or those which were subject to Blu-Print criticism (Fuller Theological Seminary, the Roman Catholic Church, the National Council of the Churches of Christ). The people whose folders are the largest are also those figures who were most likely to appear in the Blu-Print (Jerry Falwell, Billy Graham). In addition, certain issues of the day warranted a large collection (capital punishment, the ecumenical movement, evolution, homosexuality, church and state, Communism). A personal library and sermon ledger resides in the last of the fourteen file drawers required to house the Weniger collection. It lists books in Weniger's possession and contains a lengthy topical bibliography. The ledger also lists texts upon which Weniger had preached. Of particular interest for original research are Weniger's papers concerning Baptist Fundamentalist organizations. His extensive documentation on the Conservative Baptist Association of America reflects the heated conflicts that went on within that body (of which Weniger was a part) in the 1950s and 1960s. The papers also contain significant information on the Fundamentalist bodies and organizations that left the CBA as a result of these battles, in particular the Fundamental Baptist Fellowship and the New Testament Association of Independent Baptist Churches. The papers are divided into folders according to subject and arranged alphabetically.